Promoting scientific research on mountain environments; participating in improving understanding of the impact of climate change; developing volunteering and citizen engagement in business; encouraging dialogue between scientists and the general public. These are a core set of objectives unite the businesses corporate sponsors that support CREA Mont-Blanc. Why support CREA Mont-Blanc’s work? "Following in the footsteps of the early pioneers of scientific exploration in the Mont Blanc massif, we consider both science and the mountains as part of a grand adventure allowing us to better understand the world around us." Anne Delestrade, Founder and Director of CREA Mont-Blanc. CREA Mont-Blanc is an independent and non-political NGO that focuses on using innovative methods for establishing dialogue between scientists and society about ecology and climate change. We rely on partnerships with private funders because they allow us to be adaptable, to preserve our institutional independence and to deepen our understanding of the relationship between people and their environment. Businesses play a crucial role in enabling our unique approach. Allow your business and your employees to join our passionate team in this scientific and alpine adventure! To learn more about how to join us on the adventure, contact Irene Alvarez, CREA Mont-Blanc’s program director. For our private sponsors, choosing to give to CREA Mont-Blanc serves not only supports us, but also serves to fulfill their own commitments. Partnering with CREA Mont-Blanc demonstrates your commitment to innovation and to corporate citizenship, allows you to take advantage of our positive media image and, most importantly, to share in our common set of values and goals. A partnership with CREA Mont-Blanc is also an opportunity to engage your employees both through their work and through community service and volunteering. Whether you are interested in volunteering expertise and skills, for seminars or scientific trips, or participation in citizen science programs, we will work with you to develop a meaningful partnership for you and your employees. For us at CREA Mont-Blanc, relationships with businesses provide essential expertise and financial support. In addition, these partnerships allow us to learn a lot from the window we get into the business world. Corporate sponsors allow CREA Mont-Blanc to maintain its independence, develop its own long-term research, invest in preliminary studies for innovative new projects and to communicate online and through the local, national and international press. Your business can support us through direct contributions or through our membership in the 1% for the Planet network. CREA Mont-Blanc is a non-profit, public interest organization as defined by the French Association Law of 1901. Donations received by corporate sponsors or philanthropists are eligible for significant tax deductions under French tax law. Please consult our page on corporate giving in French, or contact us for more information. The French telecommunications corporation, Orange, has chosen CREA Mont-Blanc as their main partner for corporate social responsibility (CSR). The partnership, which is both human and a technological, prioritizes maintaining the independence and values of each of the partners. 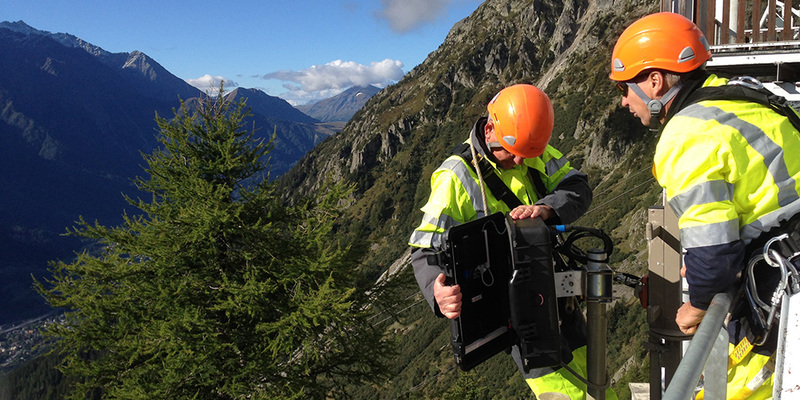 Orange’s support has allowed CREA Mont-Blanc to strengthen and expand their field instruments and digital toolkit, all while providing an opportunity for employees to implicate themselves in the project. The initial results of this partnership were presented at the COP 21 in Paris.